UMASH braved some winter weather to meet new faces and organizations. 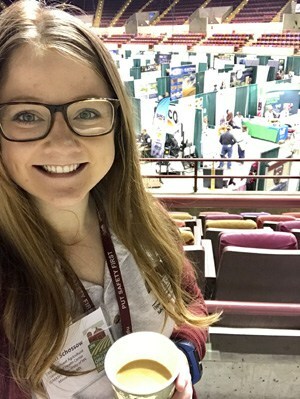 The Midwest Organic Sustainable Education Service (MOSES) hosted their 2018 Organic Farming Conference February 22-24 at the La Crosse Center in La Crosse, Wisconsin. MOSES is a non-profit that educates and shares resources for organic and sustainable farmers. 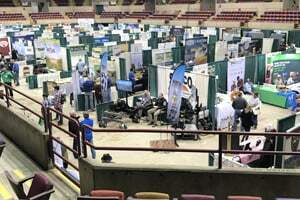 The 3-day conference hosted workshops, presentations, roundtable conversations, and 170 exhibitors and vendors. The conference is the largest gathering of its kind and was expected to attract over 3000 people. UMASH graduate student Megan Schossow attended the conference on Saturday, February 24th. UMASH was able to network with many of the vendors and share information with representatives from organic certification businesses, equipment manufacturers and dealers, marketing organizations, farmers, and more. 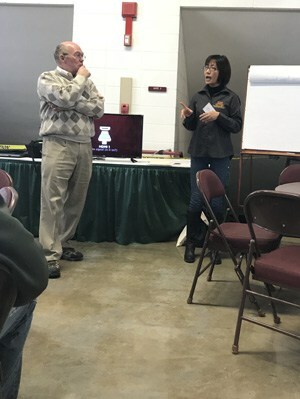 UMASH advisory board member, Wayne Martin, was also in attendance and hosting a roundtable conversation on organic swine production for University of Minnesota Extension. UMASH advisory board member, Wayne Martin, hosted a roundtable conversation on organic swine production for University of Minnesota Extension. UMASH graduate student Megan Schossow attended the conference on Saturday, February 24th.